The Hunter Science Festival presents a variety of science talks, activities for kids and lots of exciting, hands on and cutting edge science events across the region. The Festival concludes with the annual, family friendly day in the Newcastle Museum that is full of surprises and fun for all ages. Don’t miss Festival highlight Drones in the Vines presented by the ME Program, RDA Hunter’s award-winning STEM Industry partnerships program, in partnership with Cessnock City Council. Participants can view this unmanned technology in action as well as listen to how this it can improve precision farming in viticulture. The Festival will see the return of the popular Beer Googles 2.0 Virtual Reality Event. Get close with this technology by trying your hand with VR goggles and see the impact that this technology is having on business and education. On Saturday 19th of August IISPY will run a Smart Farming event in partnership with the ME Program at Tocal Agricultural school. Like Drones in the Vines, participants will get to see drone in action and discover how technology and big data are improving farming techniques and increasing crop yields. The ME Program will also host Obelisk Systems at The Commercial in Morpeth with the event Space Bar to discuss their work with RDA Hunter’s iSTEM. This program us deigned to inspire students to pursue STEM careers. The presentation will include a demonstration of the new Mars Rover module. Participants will even get a chance to drive one of the three mascot rovers, Agatha, Dash and Arthur. Register to attend: Bots and Beers. NSW Geological survey will present its popular Time Walk down Newcastle’s iconic foreshore. Participants will complete a slow-paced 3km walk along the foreshore and local guides will identify the history of this region from fossilised volcanoes to sea creatures along with helping participants understand how the local landscape has changed. A lecture presented by the NSW Geological Survey at the Newcastle Museum on Wednesday 16th August, where Dr Sabin Zahirovic from University of Sydney will be presenting Plate tectonic and long-term climate: a deep time perspective of planetary climate. A guest speaker at East Maitland Library from Hunter Pi in the Sci on the topic: Destination: Space, presented by Newcastle University academic Dr Jeanette Dixon. The Science and Engineering presents NSW’s top students at the State final, competing for only a handful of spots for the National Final. The competition begins at 9:30 am at the Forum, Callaghan Campus on Tuesday 15th of August and concludes with a bridge testing event at 2:30 pm. All welcome. 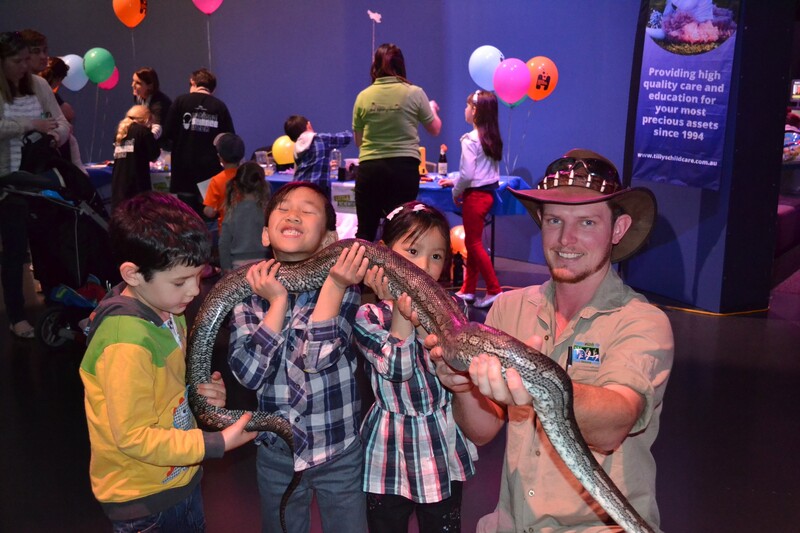 The annual Hunter Science Festival will conclude the week of celebrations for National Science Week, with a family friendly festival full of hands on fun at Newcastle Museum. This year’s National Science Week theme Future Earth will be explored in displays and demonstrations. Activities for pre-schoolers presented by Little Scientist Network partners SMART. In addition, there will be science shows at 10 am, 11am, 12pm and 1pm. There will also be lots of iies will have the opportunity to work their way through the different exhibits and displays at the museum with the Hunter Science Festival Passport. Make sure you grab yours as you walk through the doors. Find out more about these Hunter events this National Science Week at the Hunter Innovation and Science Hub’s website. This initiative is supported by Inspiring Australia.